Oceans Reefs and Aquariums had decided to take their company in an entirely different direction than what we’re used to. Recently announced on the ORA blog, the Florida-based aquaculture company is will cease all fish breeding activities and shift focus to a 100% cookie based product line in response to a “demand for edible pets”. In typical ORA fashion, the edible fish cookies are being met with overwhelming support from marine aquarists, who have had to suffer through mediocre cookies for all these years. Now, they’ll be able to dunk all the delicious hand crafted fish they love into a big glass of milk before scarfing them down. 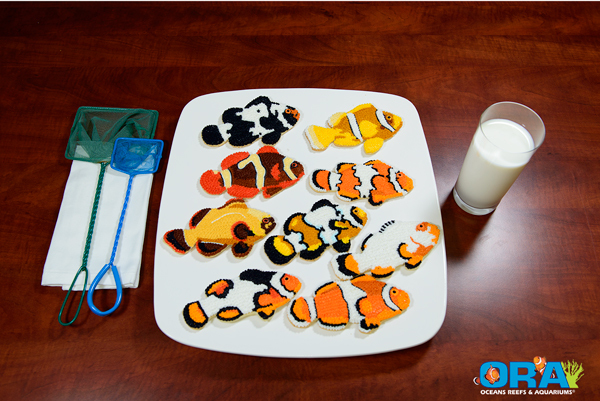 And best of all, the fish cookies look just like their real counterparts…you almost won’t be able to see the difference, but we’re sure you will be able to taste it. We’ve already gotten on the waiting list for the first batch of fish cookies, and while they may be a little pricey right out of the gate, it will be totally worth it to be part of the first public offering. On a side note, it might be worth your while to hit up the Craigslist page for the south Florida area. 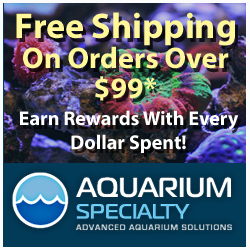 You might find a bunch of heavily discounted aquaculture equipment for sale. After all, they’ve got to make room for all of the ovens and industrial sized mixers if they plan on cranking out a lot of cookies. In a dramatic turn for a typically good natured company, ORA has decided to stop production on its “non consumable” product line and instead focus heavily on the edible pet industry. With the surging popularity of delicious teacup poodles, it was only a matter of time before Americans hunger spread to the aquarium industry. The edible aquarium trend died out quickly, likely due to the challenging textures and poor palatability. Thus far ORA’s shift to sugary-sweet digestible livestock has been met with great fanfare amongst hobbyist circles. “What we seem to have produced are the most edible fish in the aquarium hobby. Did I say edible? I meant delicious.” ORA President Dustin Dorton was overheard mumbling to himself, while pretending to swim the tasty confections directly into his mouth. With worldwide appetites surging for tastier pets, ORA is poised to be the leader in producing aquatic animals that wash down easily with a glass of milk or breakfast beer. Dorton refused to comment on rumors of a fermented seawater line potentially set for release later this quarter.